This is a rarity for Burning Wood for a number of reasons. I'll give you two. 1. This band was never internet friendly, though with the recent Spotify rollout of their catalogue, maybe they've warmed up a bit. 2. It's a 3 hour live show from one band, not exactly a "mix" for the weekend. But this is so good and you just might not have heard it before. The clip you posted yesterday brought back some great memories. I was lucky enough to have seen them on that tour in '77, and it left me in awe. They appear to have found the "sweet spot" at that point of the tour, because that is about the tightest musically that you will ever hear from a live Zep performance. I have hoovered up everything I could of their live stuff, from the god-awful "Song Remains The Same", to bootlegs in the '80s, to the 02 Arena reunion. A lot is bad, but when you find a great performance, it washes away the others. By the way, Sal, when you listen to Zep, do you use phones, or speakers? Just asking, because from my experience, you gotta play Zep LOUD! Neighbors come a knocking LOUD! The clip from yesterday was from 75, which was indeed a stellar tour. That was the first time I saw them. Saw them again in '77 and wasn't as impressed. By that time, Jimmy was a bit of a mess. There was a period about 15 years ago when I purchased Luis Rey's book, "Led Zeppelin Live," where I'd spend almost every day tracking down the bootlegs he wrote about and then spend every night listening to them with headphones, while reading his notes. It was a project, but over that period I learned a lot about every tour, best versions of songs, etc. Yes. I am a fan. 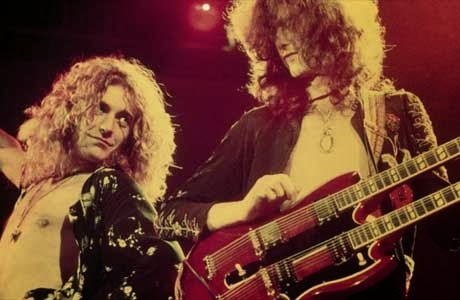 Zep were the first band who were "mine". I've bought everything they've released several times over, in all formats. I've not actually listened to any of the concerts for a while tho': thanks for the prompt and thanks for this! Thanks, Sal. Didn't know it was the '75 tour. No wonder Jimmy seemed so sharp in that clip! Yes, every shot of page from the '77 tour looks like he was pretty zoned out. When I saw them, we weren't close enough to the stage for me to notice. And I didn't have much to judge the sound by, because it was the first concert I'd ever attended. It was sad the way the band ended, but the last three years weren't very good musically. Presence was the last great record they released. I'd rather that be known as the last real Led Zep record. Thanks! I have a lot of stuff from some torrent sites (they won't read this - right?!?) and a lot of them are in a pile named . . . but I am gonna d/l this now. Just in case! This is great! Nice to have this one in the collection, since I was there to see it so long ago. Thanks Sal, good stuff!! I saw them in MSG. They opened with Rock & Roll, but it was warm out, I think. They opened with Rock N Roll for the June 1973 run at MSG. Wow Sal that sounds pretty obsessive about the live Zep in your earlier days! Could we collectively reap that harvest at some point with a mix of your very favorite live Zeppage?? Also thanks for this show. Top form. I'm the same way about Dylan... a constant, constant search for all the best performances through the years. 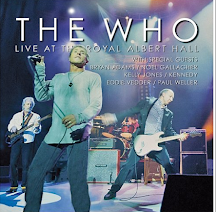 This was fantastic - but my fav boot is still "The Great Lost Live Album," from January 22, 1973 in Southampton, UK.